KZYX | Mendocino County Public Broadcasting, listener support community radio. April 10, 2019 — The Eel River between the two dams of the Potter Valley Project may be accessible to salmon, but it lacks the habitat they need to spawn. Now, amidst uncertainty over the fate of the dams, the Eel River Recovery Project is embarking on a feasibility study of a plan to improve habitat and human recreation opportunities— regardless of what happens to the dams. April 10, 2019 — At Tuesday’s Board of Supervisors meeting, cannabis program manager Sean Connell reported that the number of cultivation permits issued and approved has gone up to 238. That’s how many permits have now been issued to growers who paid their local taxes and have moved into the process of getting legal with the state. The Northern California Health Summit brought together a wide variety of approaches to health improvement at the Little Lake Grange in Willits, from hospitals and clinics to herb guilds and acupuncturists. There was a focus on the sharing of ideas and holistic health, all with the common goal of creating a healthier community. Presenters included representatives from Adventist Health, Healthy Mendocino, the Cancer Resource Center, and the Consolidated Tribal Health Project. Children impacted by the Clayton fire received early Christmas presents this past weekend, thanks to a toy drive organized by a group of friends. From the Brick Hall in Lower Lake Sunday, presents were distributed to 31 families and more than 50 children impacted by the August fire. There are also links to articles and a video about the Chernobyl Nuclear Disaster. April 4, 2019 -- Today we’ll hear from two people in Covelo, who still farm according to the principles of harmony between the garden and the gardener, the buyer and the seller, and the people and animals who use their living power to work the land. March 28, 2019 -- Today we’ll be hearing from Tom Wodetzki of Albion, a long-time political activist. Tom lived on a commune in Albion called Salmon Creek Farm for 15 years, the longest stretch of any of his fellow communards. He’s had a hand in just about every political and environmental movement this county has seen since the 70s. But before he arrived in Albion, Tom cut his political teeth back East in the civil rights movement and demonstrating against the Vietnam War. Tune into KZYX&Z’s Be More Now program at 7pm on Thursday, April 4 when host Blake More continues her “couples who create” series, this time featuring Oakland artists and Ed Holmes and Janet Koike, tthe duo behind the long running Saint Stupid Day Parade, the Rhythmix Cultural Works, Island City Waterways, and so much more. They’ll be talking about decades of collaborative art and activism, including performance tales, multiple marriages to each other, parading, gorilla theater, cultural enrichment and more. The Board of Directors and staff of KZYX, Mendocino County Public Broadcasting, are pleased to announce the hiring of Marty Durlin as the station’s new General Manager. Ms. Durlin brings 23 years of public radio management experience to KZYX. She served most recently as General Manager of KZMU Community Public Radio in Moab, Utah. She was previously Station Manager of KGNU Public Radio in Boulder, Colorado. Project Sanctuary has been providing services in Mendocino County for over three decades. What began as a women's only domestic violence shelter has evolved into a fully comprehensive domestic violence and sexual assault crisis response center serving all genders and sexual orientations. We have male and female counselors, so if you have a preference, please don't hesitate to ask. The mission of Project Sanctuary is to prevent domestic violence and sexual assault in Mendocino County through advocacy, crisis response, community collaboration, education, and shelter. If you need to speak with a crisis counselor call (707) 463-HELP for Inland Mendocino County, or (707) 964-HELP for the Coast. If you are in immediate danger call 9-1-1. 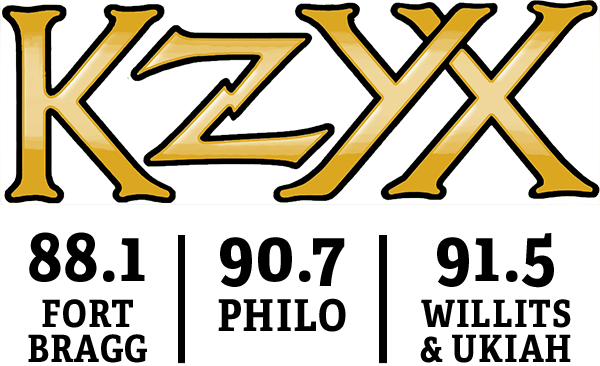 All Board of Directors meetings and committee meetings are open to KZYX members and the public. However, since attendance tends to be low for most meetings, the Board will hold several special meetings each year to encourage attendance and receive feedback from our members and the public. Board meetings are posted here. Committee meetings are posted here.